The increasing harshness of Australian summers inevitably forces people to rely extensively on their HVAC units. Distributors of air conditioning supplies in Sydney and elsewhere believe that homeowners should always keep some spare replacement parts on hand. Certain components or parts could wear out or break down frequently. Thus, having replacement parts on hand (including relays, air grilles etc.) could ensure that such occurrences do not affect you much. Air filters remain among the most widely purchased air conditioning supplies in Sydney and other places. These filters keep dust and debris away from your HVAC unit. Over time, debris could end up clogging these filters and enter the air conditioner too. This will not only cause excessive wear-and-tear on the other parts of the air conditioner. It will prevent air from flowing through the system properly as well. To keep the air conditioner functioning properly, change the AC filter each month during peak season. Doing so could be vital for maintaining the longevity of your HVAC unit. Each air conditioner features a series of electrical parts that enable it to function properly. These parts require the regulation of the electrical current that powers them. Relays help in accomplishing this objective. When you switch the thermostat on, a low-voltage signal triggers the appropriate relay within the air conditioner. Once this happens, the relay generates a high-voltage current. It passes on this current to activate the associated electrical part. Thus, it goes without saying that faulty relays could affect the performance of your HVAC unit significantly. 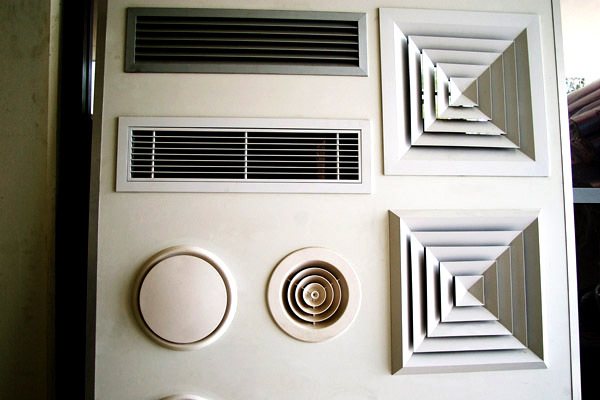 To eliminate this hassle, purchase your relays and air grilles from reputed suppliers. Authorised dealers of air conditioning supplies in Sydney and other places always stock an enviable range of capacitors. Your air conditioner relies on two capacitors to regulate its performance. The start capacitor delivers the initial surge of power that the unit needs to start up. Similarly, the run capacitor helps in maintaining a constant supply of voltage through the unit while the HVAC unit functions. Power surges and other factors could result in the burning out of capacitors. Hence, always keep a spare capacitor on hand to avoid having access to cool air. Sudden surges in power could affect your HVAC unit. To protect itself from such power surges, air conditioners feature fuses. Fuses regulate the flow of electrical currents throughout the unit. A blown fuse will affect the functioning of your air conditioner. Having a spare set of fuses handy could enable you to keep your unit running smoothly. Whether you require flexible ducting or air grilles, shop only at AirTag. Located in Sydney’s western suburbs, we supply air conditioning and insulation products. Since 1997, we have been providing quality products, personalised services and competitive rates to our clients. To see what we have in stock, click here.